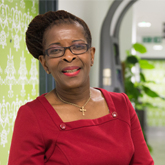 We all have a responsibility to seize the moment and educate others about the work we do, says RCN President Cecilia Anim. It’s September 2015 and Kelley Johnson is competing to win the Miss America beauty pageant in a televised finale, live from New Jersey. Breaking from tradition, Kelley, dressed in scrubs and carrying her stethoscope, performs a two minute monologue inspired by Joe, an Alzheimer’s patient she has cared for in her role as a nurse. "Why does she have a doctor's stethoscope on?" In response, thousands of nurses take to Twitter, Facebook and Instagram to voice their disdain. Within minutes, hashtags including #NursesUnite and #NursesMatter are shared around the world. The show’s sponsors pull out and TV news channels pick up on the story. Within hours, millions of Americans learn about the skill required to be a nurse, and the panelist in question discovers that nurses don’t wear costumes, they save lives. It’s present day and nursing staff, like you, are angry because your pay has been eroded. The profession you love is being undermined and real change seems like a long way off. The lesson from America is that we must always be prepared. Opportunities to fight our case will present themselves, often in the most unexpected ways. Hashtags like #NursesUnite and #ImInWorkJeremy show that social media is an important battleground. As nursing staff we all have a responsibility to seize the moment and to educate others about the work we do. So next time someone asks you what being a nurse is like, tell them. Tell them about the long shifts; the low pay; the reward you get from helping the most vulnerable. And tell them some of us wear stethoscopes too. Thank you to Rebecca Patton, former president of the American Nurses Association, who first told this story at RCN Congress in Glasgow.